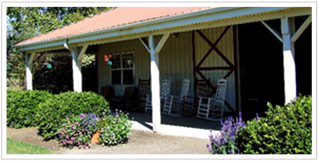 Since 1972, MacNair’s Country Acres has been boarding horses and teaching horseback riding. Our Hunter/Jumper/Dressage facility is located on 280 acres, minutes from downtown Raleigh, NC. 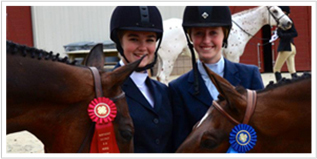 We offer boarding, training, lessons and showing, both on and off the farm and we compete at USEF AA shows. To provide quality education for horse and human in a safe, beautiful and wholesome environment; one which is an asset to the community and where horses and people develop physically, mentally and emotionally in lifetime endeavors enriching their lives through respect, understanding and appreciation of the horse-person relationship. 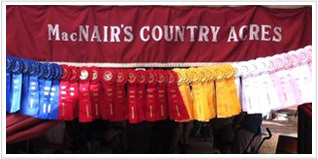 View photos of MacNair’s Country Acres, our staff and participants, and shows on and off the farm.